The Best of Leila Pinheiro is what’s on the menu for This Sunday Brazilian Brunch this weekend, forever known as the queen of Rio’s soft-rock scene. What’s on menu? A relaxing start to the day with a view… and the Brazilain sun glowing through your mamosa as you consider what the rest of the day has in store. That’s the spirit of The Sunday Brazilian Brunch, with The Best of Leila Pinheiro. More below. 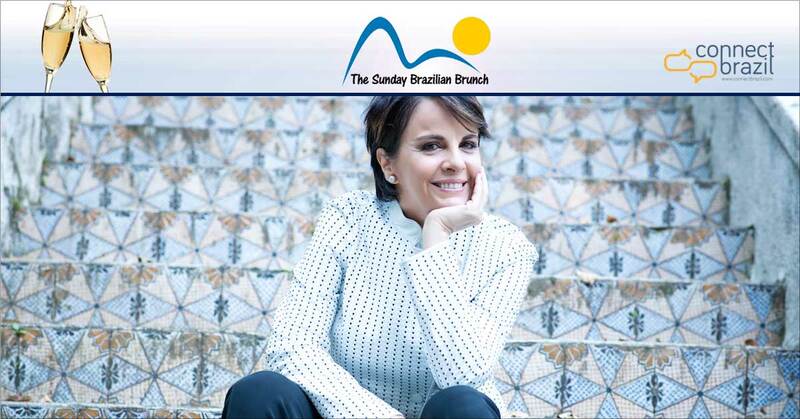 It’s the music of Leila Pinheiro this weekend on The Sunday Brazilian Brunch. The singer from Brazil’s far northeastern city of Belem has been a creative force since a move to Rio in the early 80’s set the stage for a stellar career. In fact, many critics place her in between Elis Regina and Marisa Monte in the continuum of Brazilian song. Pinheiro’s music ushered in a contemporary change in Brazilian pop and her stylish approach to soft rock and Bossa Nova make her a perfect fit for our Sunday show this week. In keeping with our long-held tradition, I’ll even sprinkle in a few holiday favorites in Portuguese and English, too. Video: Don’t miss last night’s celebration for Rio de Janeiro’s iconic Chritsmas tree lighting, with ‘live’ fan video. What an experience! Leila Pinheiro made her first US tour in 1997, and three years later I had the privilege of welcoming her to the stage in Fort Lauderdale, where she shared the bill with both Ivan Lins and Ed Motta. By this time she was already a household name with fans of The Sounds of Brazil, where she had become a popular mainstay on our playlists for more than half a decade. And while it’s been some time since we last featured her music, we’re all set to enjoy a half-dozen of her best songs. And I’m sure that you’ll enjoy this musical homecoming. There’s more: Leon Ware (remember him?) teams up with Marcos Vale for a surprising tune, both Will Downing and Thievery Corporation singing in Portuguese and I’ll bring you up to date with the top musical story of the week from the beaches of Rio de Janeiro. All in all, a wonderful line up for this first Sunday of December. The Sunday Brazilian Brunch Spot of The Week at Connectbrazil.com: The Pestana Rio Atlantica, Copacabana, Rio de Janeiro. This week, Our Brunch Spot of The Week brings us to the heart of Copacabana and a poolside lounge with a view at the Pestana Rio Atlantica Hotel (above). Longtime listeners may remember the Rio Atlantica as “Your Home Away From Home”. It’s been a popular choice for fans of The Sounds of Brazil when they visit Rio de Janeiro for more than 20 years. Click here to learn more. 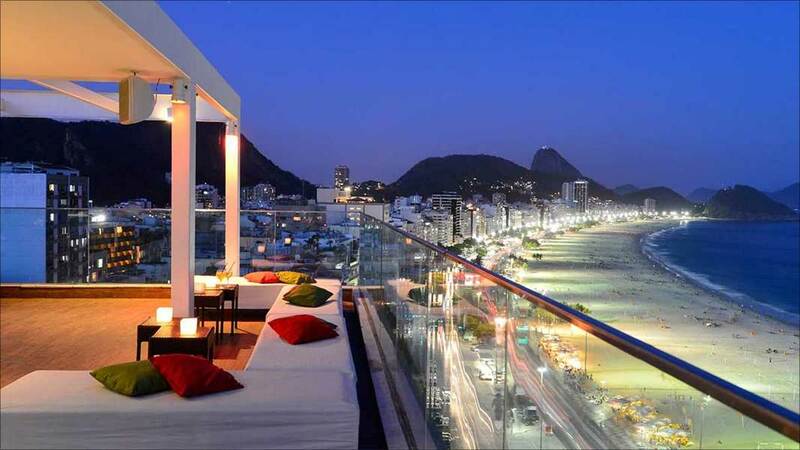 The Pestana Rio Atlantica has the most breathtaking views of Copacabana from it’s penthouse-like pool. Check out the photo gallery to see for yourself. Join us on our streaming station for three full hours, Sundays Only! Listen Live to The Sunday Brazilian Brunch beginning at 5 am, 9 am and 2 pm Central time every Sunday for The Sunday Brazilain Brunch: plenty of great music and a story or two. Or tune in for the Brazilian Brunch nightcap at 8 pm CT.
Click on the ‘Play’ button below to listen live.